Life Of The Aztecs By Ilya and Colton. Ilya H. Presentation Ilya H. Presentation Archeologist. 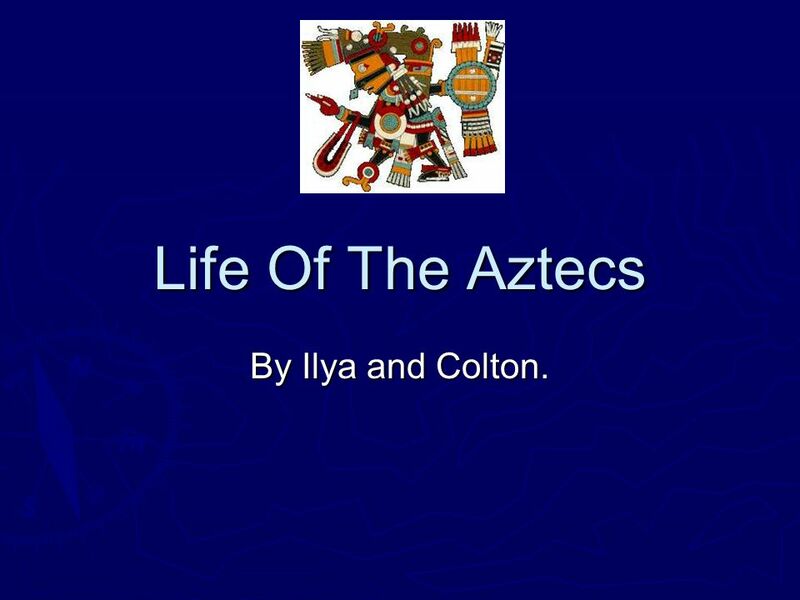 2 Life Of The Aztecs By Ilya and Colton. 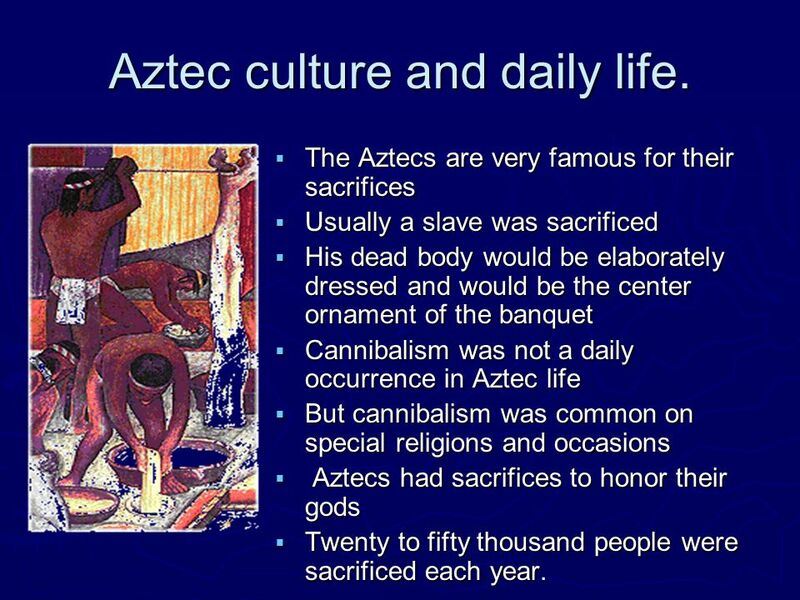 5 Aztec culture and daily life. The Aztecs are very famous for their sacrifices Usually a slave was sacrificed His dead body would be elaborately dressed and would be the center ornament of the banquet Cannibalism was not a daily occurrence in Aztec life But cannibalism was common on special religions and occasions Aztecs had sacrifices to honor their gods Twenty to fifty thousand people were sacrificed each year. 6 The Aztecs were very religious The Aztecs were very religious Aztecs believed that their gods caused the sun to rise, rain to fall, crops to grow and fire to burn Aztecs believed that their gods caused the sun to rise, rain to fall, crops to grow and fire to burn They worship their gods by sacrificing slaves in their gods names They worship their gods by sacrificing slaves in their gods names Feathered serpent (Quetzalcoatl) This is the wind god and the god for knowledge. 7 Smoking mirror is Aztec God of of the night sky. We was thought to control their fate. 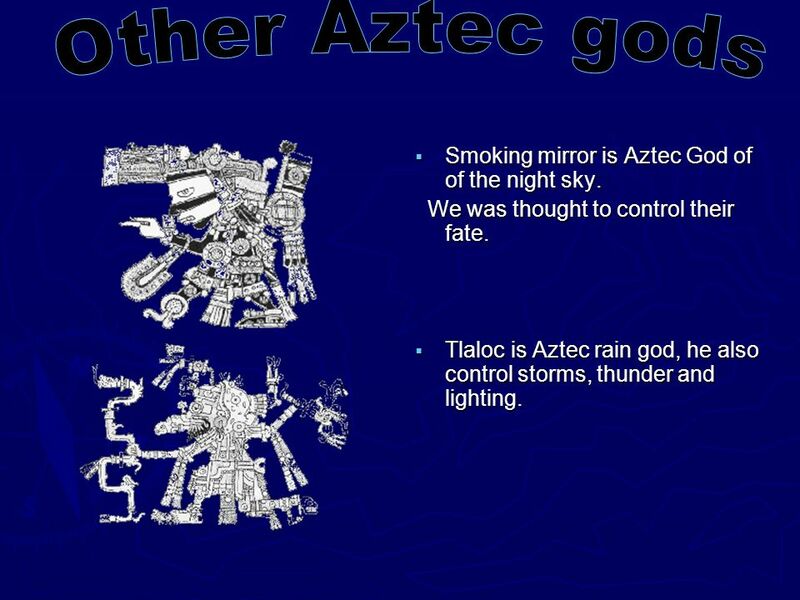 Tlaloc is Aztec rain god, he also control storms, thunder and lighting. 9 The Aztecs data as presented above the show. The Aztecs data as presented above the show. The name and number of the year is xiupohuall language. The name and number of the year is xiupohuall language. The name of the 13 day week and the name and number of the day. The name of the 13 day week and the name and number of the day. 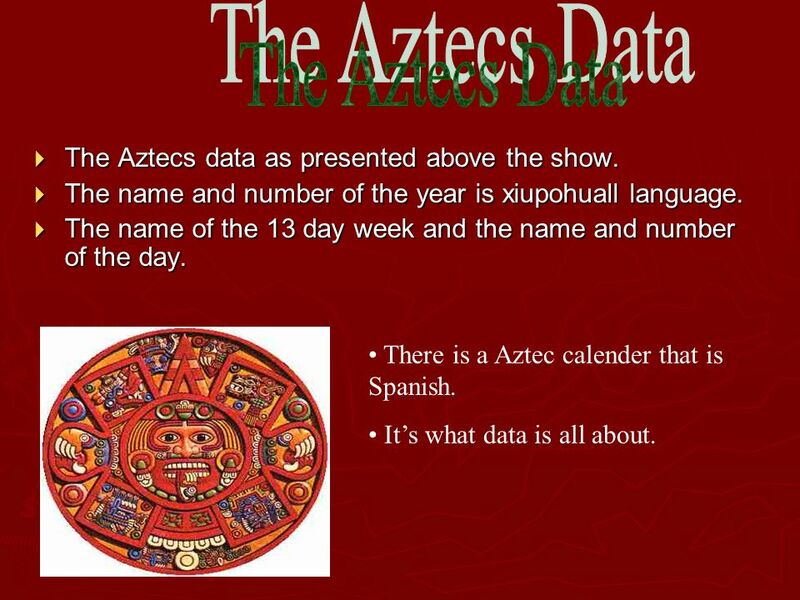 There is a Aztec calender that is Spanish. Its what data is all about. 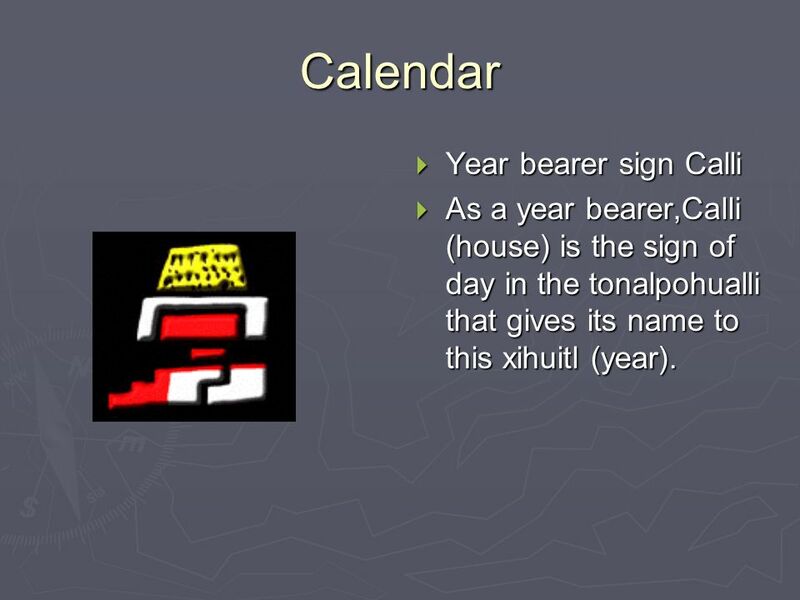 10 Calendar Year bearer sign Calli As a year bearer,Calli (house) is the sign of day in the tonalpohualli that gives its name to this xihuitl (year). 11 Calendar Year bearer sign tochtli. 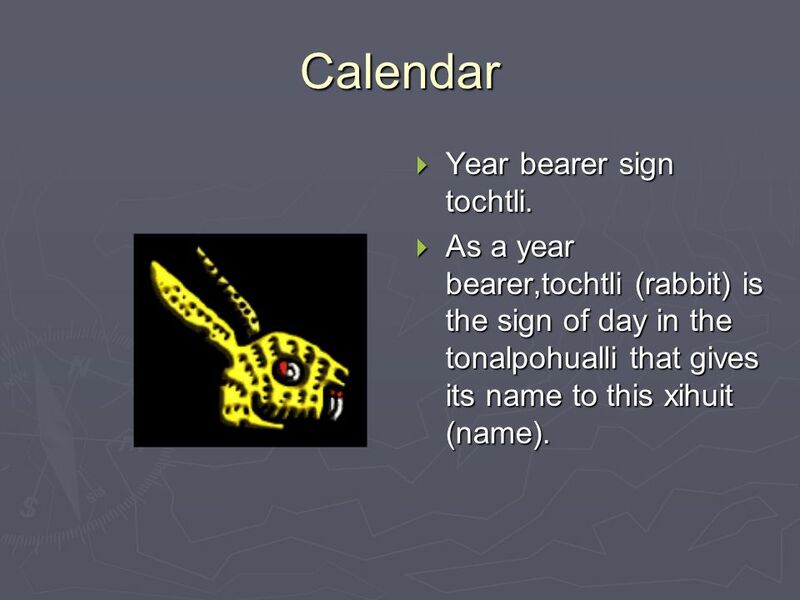 As a year bearer,tochtli (rabbit) is the sign of day in the tonalpohualli that gives its name to this xihuit (name). 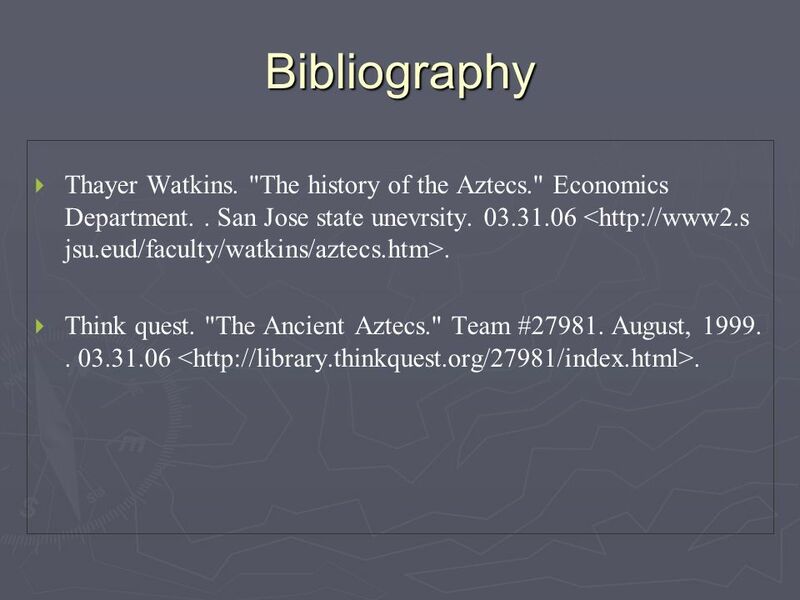 12 Bibliography Thayer Watkins. "The history of the Aztecs." Economics Department.. San Jose state unevrsity. 03.31.06. Think quest. "The Ancient Aztecs." Team #27981. August, 1999.. 03.31.06. 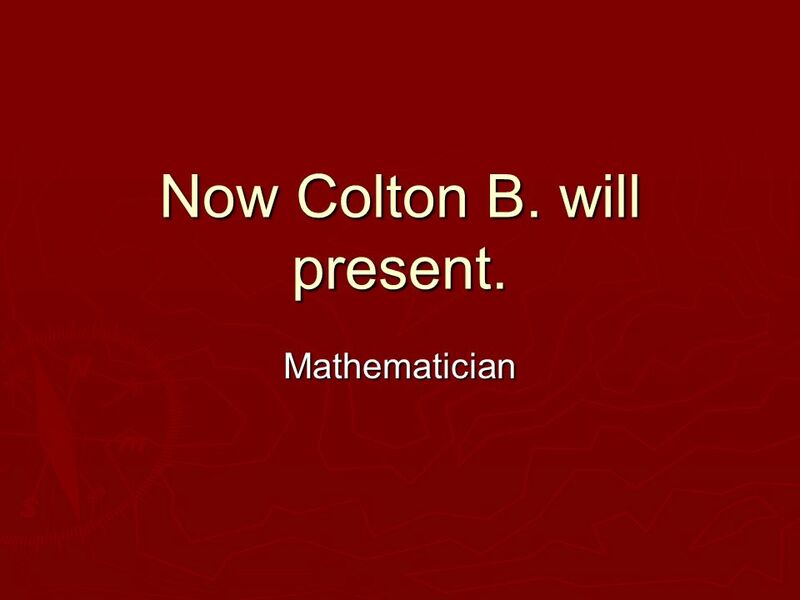 Download ppt "Life Of The Aztecs By Ilya and Colton. 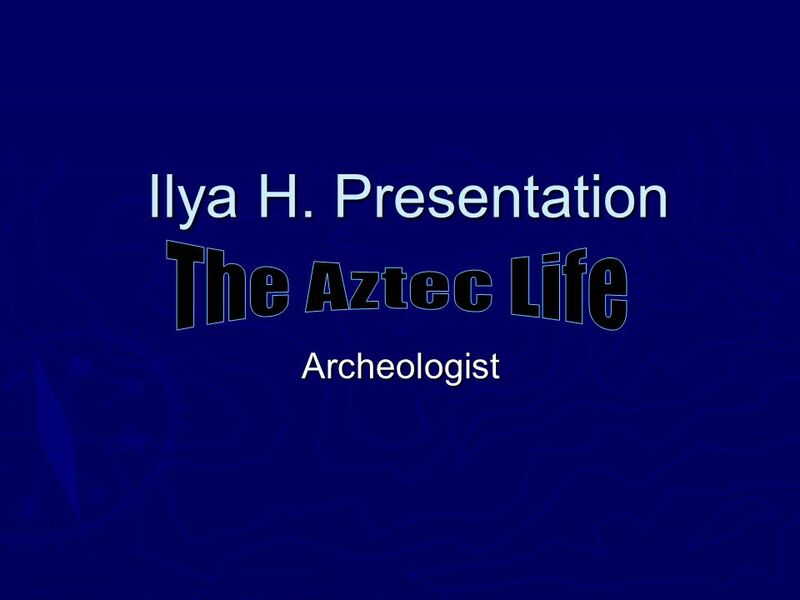 Ilya H. Presentation Ilya H. Presentation Archeologist." The Aztecs Alyssa and Rebecca Aztec Schooling Girls and boys were in separate schools. Their education was basically a training for marriage, although. 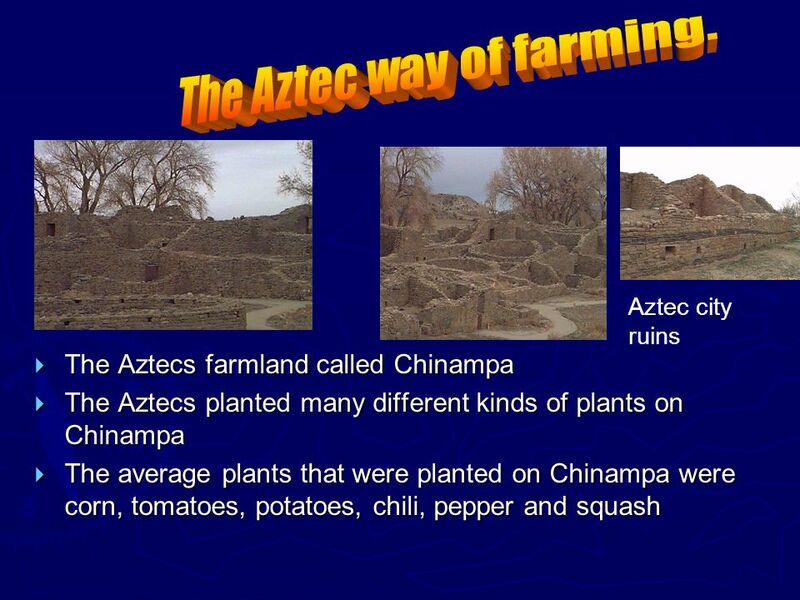 Aztec Religion By: Monica Mendez Period 1, Mr. Rosen. Aztec Civilization E.J. Gabe Nikki Shivani. Table of Contents Location Government Religion Agriculture Cultural & Scientific Contributions Bibliography. 3/26 Aim: How were the Mayans and Aztecs Similar? Different? Tenochtitlan. 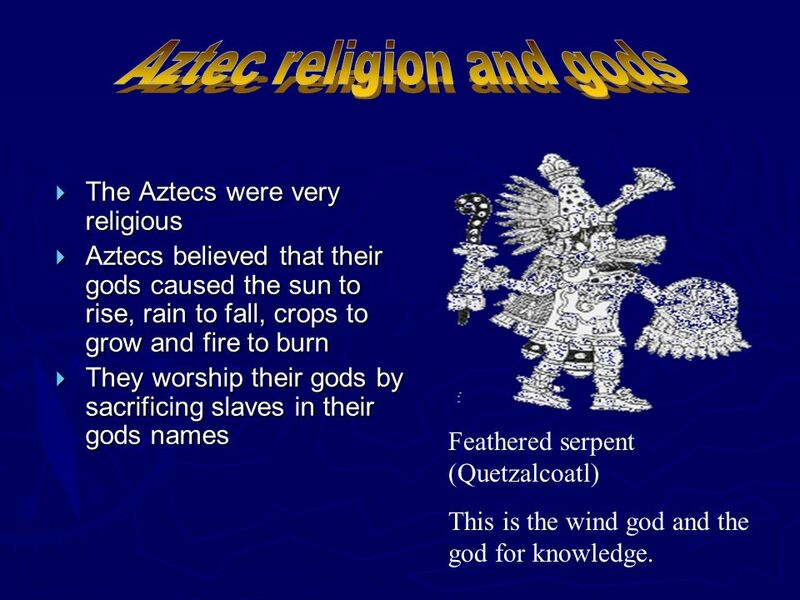 Religion played a major role in Aztec life. Early Human Migrations Origins of the Peoples of the Americas? Origins of the Peoples of the Americas? Sculpture from the Americas. The Aztec Religion By: Lauren Maggipinto & Jennifer DiPaula. AZTECS By: Stephanie Osorio.  Aztec religion is a South American religion combining elements of polytheism, (many gods) shamanism and animism (worship. THE AZTECS Empire and Culture I can describe Aztec family life, religious beliefs and Aztec warfare. El Castillo *. El Castillo * Introduction The Maya developed an advanced civilization around 2600 B.C.in the Yucatan area in Mexico and Central America.  What makes a civilization great?  An advanced culture in which people have developed cities, science, and industries. World History Maya, Inca, Aztec Unit 5 6.A 6.B 19A 19B 26A 26B 26C 27B. Think about this Which empire was the most advanced; the Maya, Aztec, or Incan. Can you answer this question? With facts? Why do I ask? You will see this.